Silca relentlessly throwing down hard on the pump front. The all black with red anodized accents are wicked looking. The Silca SuperPista Pump ($235USD) boasts an all-aluminum construction with a wood handle and a heaping plethora of inflation tech making pushing air into tires a sweet endeavor. 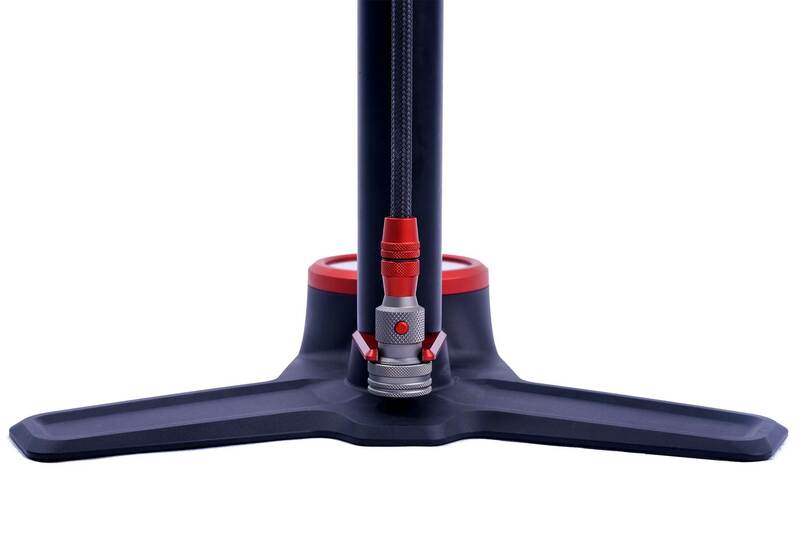 27 Years later, the modern SuperPista carries on the ideals of the original, while adding a significant dose of technology and additional features sure to again change perceptions about what a floor pump can and should do. The new larger, more ergonomic wood handle, 12x larger base area for ultimate stability, and 2.5x larger / 50% higher precision gauge than the original again changes the standard. The NEW SuperPista once again sets the bar and is guaranteed to become a modern classic.